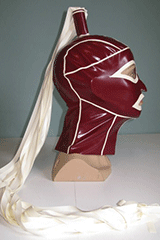 Ponytail Hood with shaped eye and lip cutouts. All seams trimmed with either same colour or contrast latex that matches the ponytail. 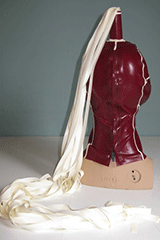 Zip fastening opening. A range of eye and lip variations available. Apply for details.